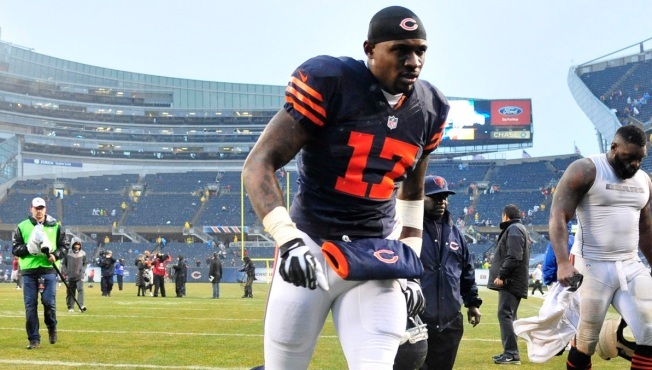 The Chicago Bears are still trying to sign wide receiver Alshon Jeffery to a long-term contract, and on Monday the team bought themselves more time to do so as they placed their franchise tag on the soon-to-be free agent. The move means that Jeffery will be under team control through at least the 2016 season. The franchise designation also means that the Bears have until July 15 to agree to a long-term deal with the wide receiver. According to data released by NFL Network's Ian Rapoport on Monday, the franchise tag designation means that Jeffery will earn nearly $15 million in the 2016 season. Jeffery missed a large chunk of the 2015 season for the Bears as he dealt with a series of leg issues. The receiver ended up catching 54 passes for 807 yards and four touchdowns for the Bears as the team's offense was forced to look for other options in his absence.